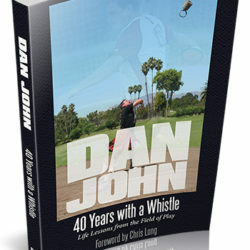 Dan John's new book, 40 Years with a Whistle, represents 40 years of coaching tips woven into a touching memoir of a coach's life. This lecture, Science of Coaching: Theory Applied, looks at at the concept of coaching science -- a skills acquisition presentation. Dan John What Makes An Athlete Elite? In Dan John's decades-long coaching career, he's worked with a lot of elite athletes. In this talk, he drills down to the five main characteristics that make an athlete elite.